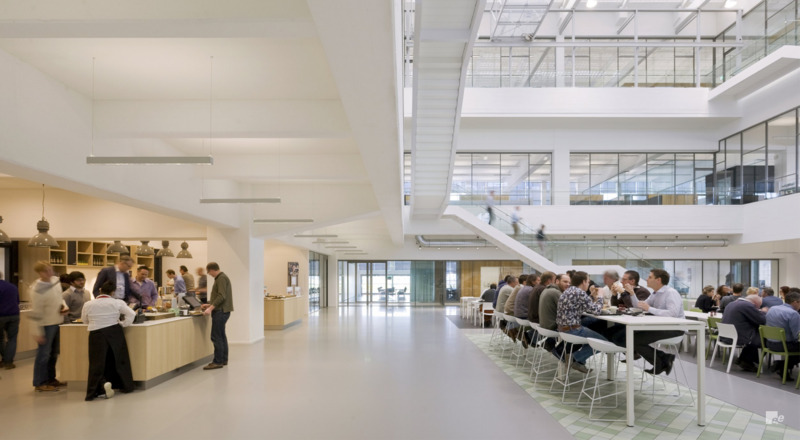 Off-shore energy design and engineering specialists GustoMSC needed two statement staircases for its new office space. 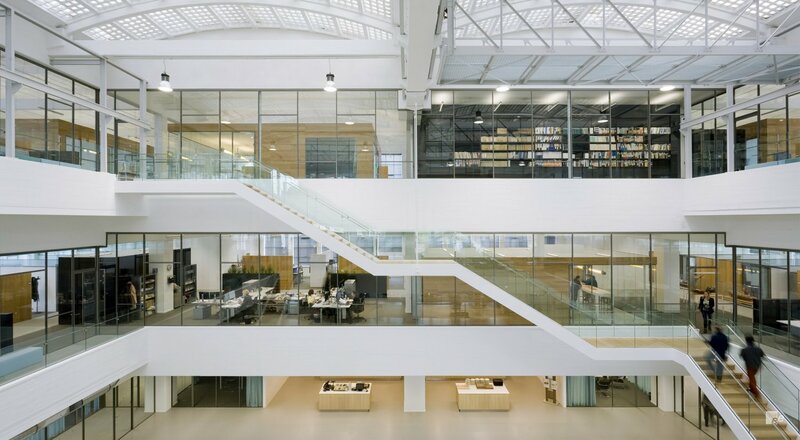 The staircases, which are both situated in the office’s glass-roofed central atrium feature white steel stringers and attractive matte oak treads, while glass balustrading runs throughout. The steel stringers had to be assembled before being delivered to site, mounted and fixed in place using an innovative series of taps. These taps also hold the weight of the solid oak treads and glass balustrades. 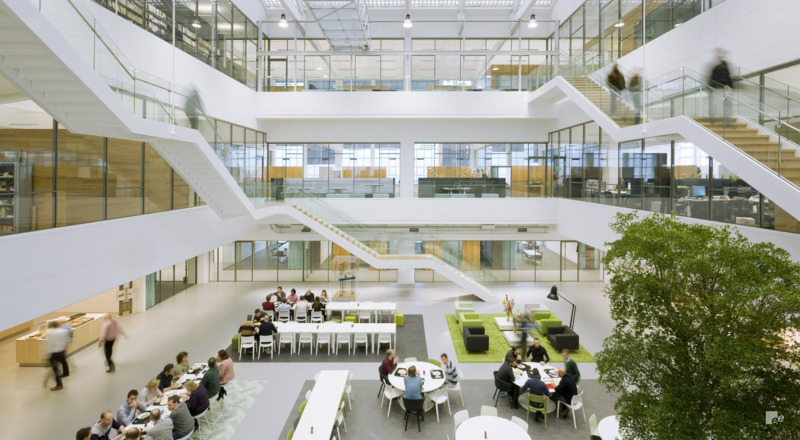 "EeStairs was able to produce and install the staircase as a whole, including the wooden treads, glass balustrades and pendants secure the staircase. They had all the expertise to fabricate and install these huge staircases in the atrium with nicely detailed connections and even had special cranes to install them.